The Passover Seder is a feast celebrated by Jewish people and it is held at the beginning of the Passover holiday. The ritual of the Seder is usually performed by generations of families as they retell the story of Israelites being freed from Egyptian slavery. 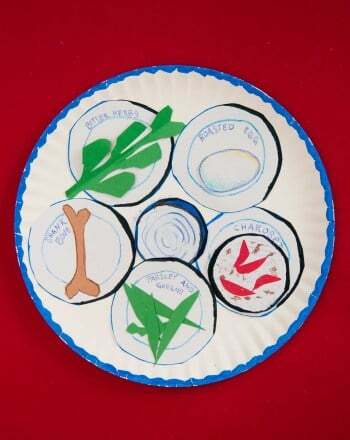 The Seder plate is a specific arrangement of foods which are all symbolic to the ritual. 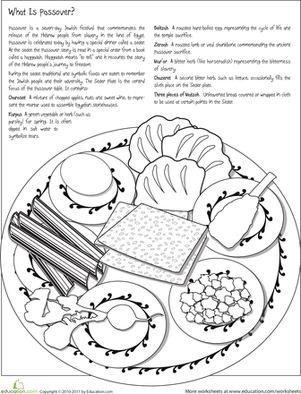 In this activity, your child can prepare for Seder dinner by creating her own Seder plate. 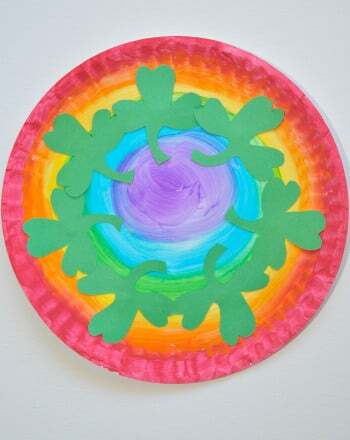 Have your child cut out five medium circles and one small circle from white construction paper. These will be the areas of the plate where the food goes. Ask her to arrange them with the small circle in the middle, and the five remaining circles surrounding the middle so everything fits on the plate. 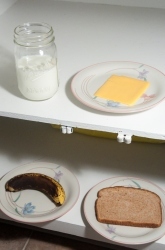 Discuss the six items on the plate and what they symbolise. As they are discussed, have her cut them out of construction paper, filling in details with colored pencils and placing them each in their own dish. If there's room, have her write the name of the food item on the edge of the plate. Karpas is usually parsley and represents the springtime. It is dipped in salt water to start the ceremony. Some say water represents tears. The bowl in the centre of the plate is for the salt water. CharosetIs a brown paste of fruits, nuts and red wine. It's usually sweet and is symbolic of the mortar used by the Jewish slaves who built the storehouses in Egypt. ZeroaIs a bone, usually from a roasted lamb, or goat. It symbolizes the lamb offered in the Temple in Jerusalem eaten on Seder night. Encourage her to decorate the edge of the plate. 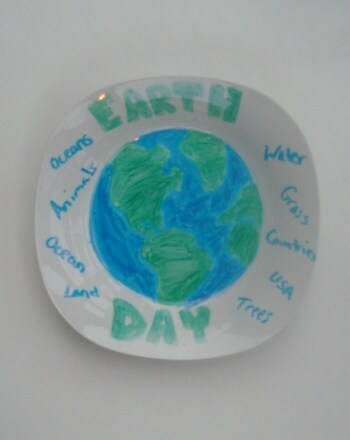 Now, she's ready to explain to the guests at her Seder what the meaning is behind each of the items on the Seder plate! Students will test different foods to see which grow mold the fastest.